My journey into music started when my father wrote a story for me called My Cello’s Golden String. This story was of a girl’s dream about a golden cello that plays colorful sounds for her. Since then my life has mirrored this story. I studied music at the Institute of fine art in Sulaimany-South of Kurdistan, after that when I moved to Sweden I studied at the University of Gothenburg-Sweden, during this time I participated in several courses and workshops in music in Sweden. I took part in several local, national and international events, including with the National String Orchestra of Sulaimany, Iraqi national Symphony orchestra, Washington DC Symphony Orchestra, Ensemble for new music in Sweden and Non-Ensemble for Contemporary experimental music. Through these experiences questions were raised that pushed me to search for answers. 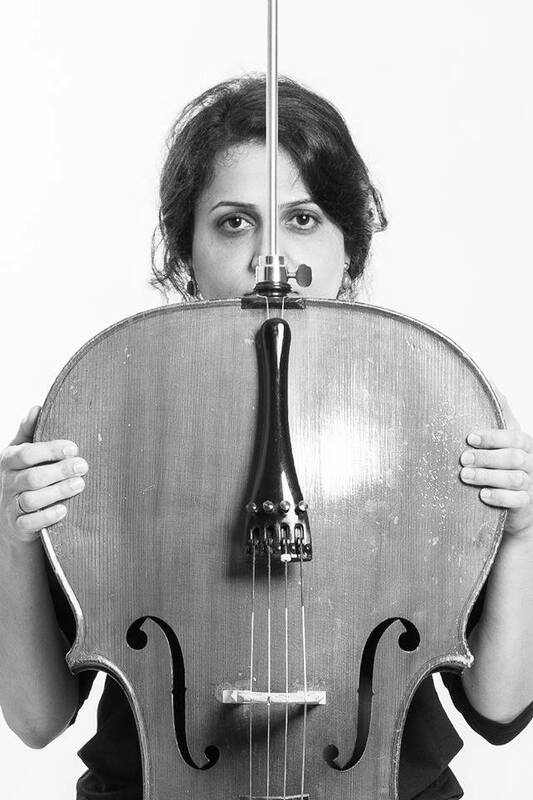 Breaking away from old traditions and investigating new sounds in new contexts within the body of the cello’, continuously renews my relationship with my instrument.